Goldman was retipping SPG, because they were interested in buying General Growth Properties which is in bankruptcy. It worked. SPG popped 3 1/2 points. The mall industry remains in a long period of consolidation with the top 5 owners controlling many of the top centers (class A and class B) in the US. 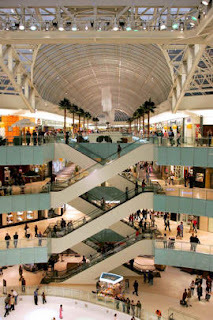 Moreover, there is almost no new development so malls are unique in that barriers to entry apply, especially for centers in infill locations, similar to those owned by Simon and General Growth, as the land is difficult to obtain and entitle. But inventories are low. That will help the stores. Even Abercrombie (ANF) on their earnings conference call said numbers would of been higher, but they didn't have any jean inventory to speak of to sell. I just wanted to bring these points up, because all I hear is these stories about the CRE world imploding. Why is it, that nobody asks why is it, that the people talking their book, are wannabe buyers of this distressed merchandise?